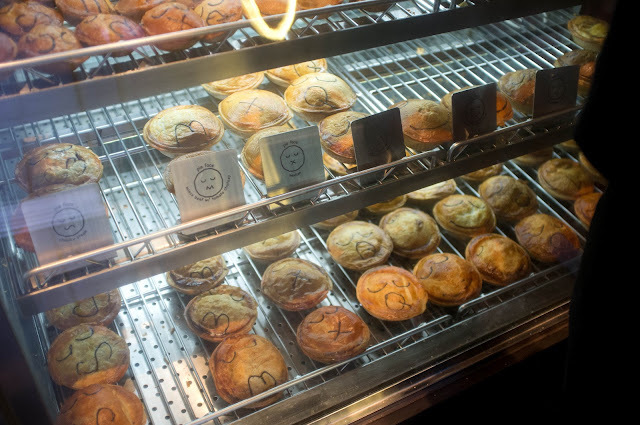 I was going to see Priscilla Queen of the Dessert with a couple of Australian friends and they suggested grabbing a bit to eat at Pie Face. Funnily enough, this is their go-to post-work pre-theatre spot, so the pure Aussie awesomeness of it was kind of lost on them. 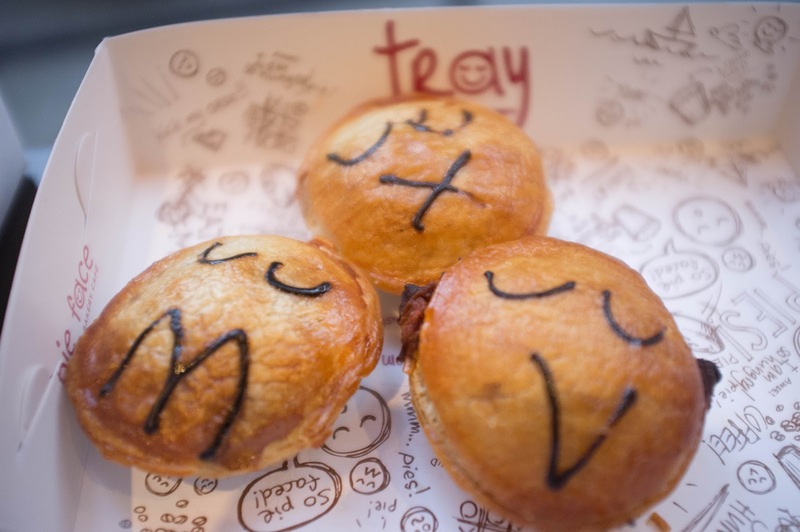 I ordered a trio of mini-pies so that I could try several flavors: Mince Beef, Mexican Beef, and Tandoori Vegetable. My favorite was actually the vegetable one, but they are all suuuper tasty. They are also a super portable little meal to grab and go on your way to a show when you don't have time for a proper meal!